Below are links to articles citing the facts of the future of the insurance business and the internet. How important (strategically and financially) is the online marketing space? Recently, the largest publicly traded U.S. auto insurer purchased a company for about $1 billion to expand sales of coverage through the internet. What are some online auto insurance trends? 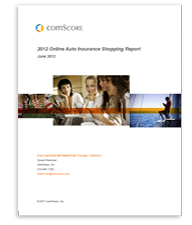 The 2012 Online Auto Insurance Shopping Report was recently published. This provides analysis of overall industry trends and patterns that occurred in 2011. - Over 33% of respondents say they were MORE likely to purchase online policies in the future. This is 2 percentage points higher than 2010. - Sales of online auto insurance policies continue to rise, growing 6% from 2010. - PLUS, NEARLY 70% OF SHOPPERS REPORTED OBTAINING AN ONLINE QUOTE IN 2011. For the insurance agents out there who are not paying attention to consumer shopping habits, it is time to tune in. A recent report from ComScore notes there is continued growth by consumers when it comes to quoting and buying auto insurance online. While many consumers still purchase their coverage offline and like dealing with an agent, more and more are surfing online for coverage.